Footage from KAT-TUN's Countdown Concert 2013, as well as some backstage happenings was shown on today's (2014.01.05) Shuichi. These are the various links. ★ 2014.01.05 Shuichi (part 1). ★ Also, on 2014.01.09 KAT-TUN will appear on Ima, Kono Kao ga Sugoi! . More information about this programme can be read here (Thanks to isi_sky). 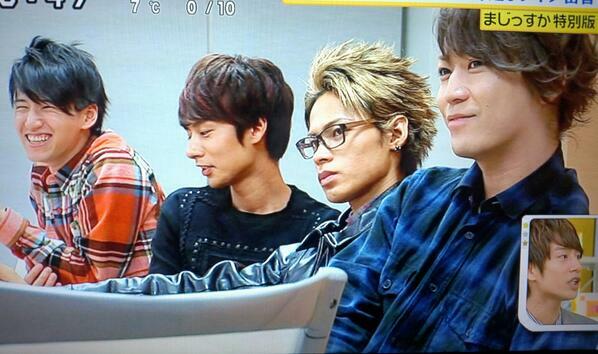 A preview was shown today (2014.01.05): Here's a LINK (thanks to purin n).